Gå med i vår svenska facebook-grupp! Gå med i Our Histio Family! strict warning: Non-static method view::load() should not be called statically in /home/histiocy/public_html/sites/all/modules/views/views.module on line 879.
strict warning: Declaration of views_handler_argument::init() should be compatible with views_handler::init(&$view, $options) in /home/histiocy/public_html/sites/all/modules/views/handlers/views_handler_argument.inc on line 0.
strict warning: Declaration of views_handler_filter::options_validate() should be compatible with views_handler::options_validate($form, &$form_state) in /home/histiocy/public_html/sites/all/modules/views/handlers/views_handler_filter.inc on line 0.
strict warning: Declaration of views_handler_filter::options_submit() should be compatible with views_handler::options_submit($form, &$form_state) in /home/histiocy/public_html/sites/all/modules/views/handlers/views_handler_filter.inc on line 0.
strict warning: Declaration of views_handler_filter_boolean_operator::value_validate() should be compatible with views_handler_filter::value_validate($form, &$form_state) in /home/histiocy/public_html/sites/all/modules/views/handlers/views_handler_filter_boolean_operator.inc on line 0.
strict warning: Declaration of views_plugin_style_default::options() should be compatible with views_object::options() in /home/histiocy/public_html/sites/all/modules/views/plugins/views_plugin_style_default.inc on line 0.
strict warning: Declaration of views_plugin_row::options_validate() should be compatible with views_plugin::options_validate(&$form, &$form_state) in /home/histiocy/public_html/sites/all/modules/views/plugins/views_plugin_row.inc on line 0.
strict warning: Declaration of views_plugin_row::options_submit() should be compatible with views_plugin::options_submit(&$form, &$form_state) in /home/histiocy/public_html/sites/all/modules/views/plugins/views_plugin_row.inc on line 0. Min femårige son Paul Fahlman är drabbad av Langerhans cellhistiocytos och går för närvarande under behandling med kortison och cellgift. En av de jobbiga och frustrerande sakerna med Pauls sjukdom, har varit att jag och min hustru Karin har haft svårigheter att få veta mer om en väldigt ovanlig sjukdom samt att komma i kontakt med andra LHC-drabbade för att kunna dela erfarenheter. Forskningen kring Histiocytossjukdomarna stödjs av Barncancerfonden. » Ladda ned Barncancerfondens informationsbroschyr i pdf-format. » Du kan också beställa pappersversionen gratis hos Barncancerfonden. Vill du vara med i vår förening? Det är enkelt och helt gratis. 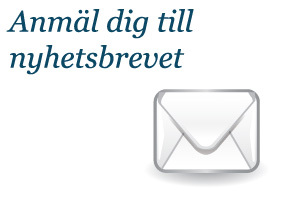 Skicka ett mail till info@histiocytos.se eller till någon av våra kontaktpersoner.